DEEPLY TROUBLED MALAYSIA Airlines will be de-listed and taken private ahead of a major restructuring following the double disasters of MH370 and MH17, under a proposal announced Friday by its majority shareholder. State investment vehicle Khazanah Nasional, which owns 70 percent of the flag-carrier, said it would purchase all minority shares and finalise a restructuring plan by the end of the month. 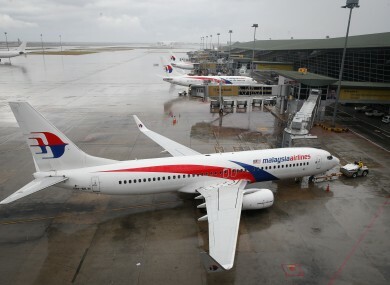 The move confirmed growing speculation that Khazanah planned to completely take over Malaysia Airlines to strengthen its hand in addressing the free-falling carrier’s mounting problems. Nothing less will be required in order to revive our national airline to be profitable as a commercial entity and to serve its function as a critical national development entity. Malaysia Airlines has reeled from years of financial losses and its survival is now seen as in peril following this year’s air catastrophes. Flight MH370 disappeared mysteriously in March with 239 people aboard, en route from Kuala Lumpur to Beijing. No trace has been found and the airline was widely criticised for its handling of the crisis. On July 17, MH17 was shot down over Ukraine, with another 298 people killed. Though it formerly had a solid safety reputation, the carrier’s association with tragedy has pummelled bookings, and analysts said it is burning through its cash reserves at a rate of around $2 million per day as it struggles to survive. It lost 4.1 billion ringgit ($1.3 billion) from 2011-13, and a further 443 million ringgit in the first quarter of this year, blaming MH370′s “dramatic impact” on bookings. Earlier today, Malaysia Airlines had its shares suspended on the Kuala Lumpur stock exchange ahead of the Khazanah statement. The company is expected to unveil its second-quarter earnings in mid-August. Email “Troubled Malaysia Airlines shares suspended as it prepares to go private”. Feedback on “Troubled Malaysia Airlines shares suspended as it prepares to go private”.